Bali has set a new con­ti­nen­tal record, be­com­ing the first Asian des­ti­na­tion to be de­clared the world’s best tourist des­ti­na­tion by TripAd­vi­sor, the worlds largest travel site. The plan­ning and book­ing travel web­site hon­ored Bali as the win­ner of its 2017 Trav­el­ers’ Choice™ awards for des­ti­na­tions across the world at a cer­e­mony held in Seminyak, Bali, on Thurs­day night. The re­sort is­land leads among 418 out­stand­ing des­ti­na­tions across the globe. Ac­cord­ing to the list, the top 10 Trav­el­ers’ Choice Des­ti­na­tions in the world are: Bali, In­done­sia; Lon­don, United King­dom; Paris, France; Rome, Italy; New York City, United States; Crete, Greece; Barcelona, Spain; Siem Reap, Cam­bo­dia; Prague, Czech Repub­lic; and Phuket, Thai­land. “It is re­ally an honor for us to be cho­sen as the best in the world this year. I be­lieve this award will strengthen our po­si­tion as a tourism des­ti­na­tion,” said I Gde Pi­tana, deputy min­is­ter for in­ter­na­tional tourism mar­ket­ing at the Tourism Min­istry. He said the award would also boost the gov­ern­ment’s ef­forts to reach the tar­get of 20 mil­lion for­eign tourists by 2019. Be­sides Bali’s achieve­ment, Lom­bok was also awarded as one the top 10 des­ti­na­tions in Asia. TripAd­vi­sor spokesper­son for Asia-Pa­cific, Sarah Mathews, said Bali was a des­ti­na­tion with top­notch ex­pe­ri­ences for ev­ery type of trav­eler, be they nat­u­ral, cul­tural or gas­tro­nom­i­cal, and thus most users tended to want to share these ex­pe­ri­ences with the world. "User-gen­er­ated con­tent plays such a key role in trav­eler dis­cov­ery and we en­cour­age more trav­el­ers to share their won­der­ful Bali ex­pe­ri­ences with other global users on TripAd­vi­sor to en­cour­age them to visit the is­land,” Sarah said. Global re­views and opin­ions on TripAd­vi­sor have now crossed the 500 mil­lion mile­stone, with the site and app re­ceiv­ing 290 con­tri­bu­tions of con­tent ev­ery minute. Bali has seen steady yearon-year growth in user re­views across all three cat­e­gories — ac­com­mo­da­tion (25%), at­trac­tions (38%) and eater­ies (38%) — in­di­cat­ing sus­tained global in­ter­est in the full spec­trum of tourism of­fer­ings on the is­land. In Bali, the most re­viewed ac­com­mo­da­tion op­tions on TripAd­vi­sor are Padma Re­sort Le­gian, Nusa Dua Beach Ho­tel & Spa and Melia Bali In­done­sia, while the most re­viewed restau­rants are Potato Head Beach Club, Ku De Ta and La Luc­ci­ola. 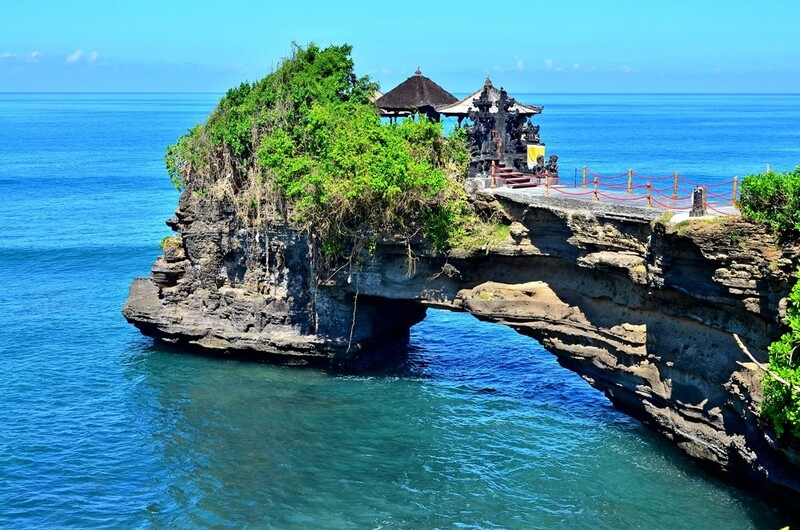 Sa­cred Mon­key For­est Sanc­tu­ary in Ubud, Water­bom Bali in Kuta and Tanah Lot Tem­ple in Ta­banan are the most re­viewed tourist at­trac­tions. Award win­ners are de­ter­mined us­ing an al­go­rithm that takes into ac­count the quan­tity and qual­ity of re­views and rat­ings for ho­tels, restau­rants and at­trac­tions in des­ti­na­tions world­wide, gath­ered over a 12-month pe­riod, as well as trav­eler book­ing in­ter­est on TripAd­vi­sor. TripAd­vi­sor’s top source mar­ket for Bali is China with a search in­ter­est on the site that has in­creased by 73 per­cent year-onyear, fol­lowed by The Nether­lands at 57 per­cent and In­dia at 37 per­cent. I Made Wid­nyana, owner of Celebrity Bike Tour in Bali, said that TripAd­vi­sor’s reach and in­flu­ence was very im­por­tant to the suc­cess of his busi­ness. “As a small tour op­er­a­tor with lit­tle mar­ket­ing budget, word of mouth is re­ally how peo­ple find out about my busi­ness. Our free list­ing on TripAd­vi­sor has opened up op­por­tu­ni­ties to show­case our bike tours to both lo­cal and in­ter­na­tional trav­el­ers,” he said.